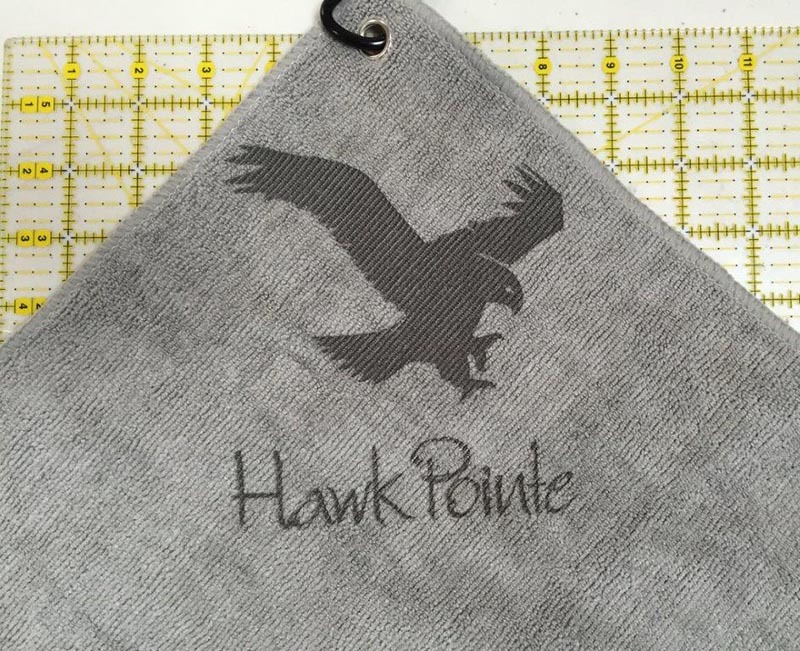 The perfect Golf Tournament Gift is a laser etch custom logo golf towel silver. Our laser etch custom golf towel has superior feel, is tastefully subtle, and is very affordable. We’ll help you in creating the perfect design. 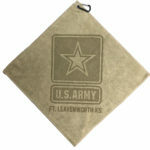 Your players will put your logo golf towels right on their bags and appreciate them for the entire season. Minimum custom logo quantity is 48 pieces. There are no set up fees when you provide a vector art file such as Adobe Illustrator (AI) or Photoshop (EPS). Turnaround time is usually under 7 days plus shipping time from the west coast. 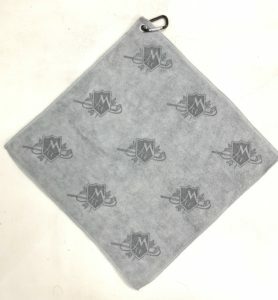 Laser etch silver golf towel with your custom logo under the clip is a popular choice. 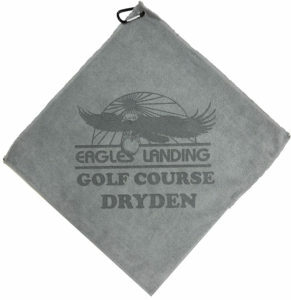 Laser etch silver golf towel with your custom logo centered on the towel is an ideal location. 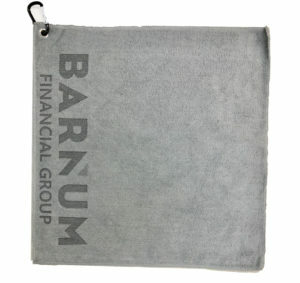 Laser etch silver golf towel with your custom logo in the bottom corner is a great new location idea. 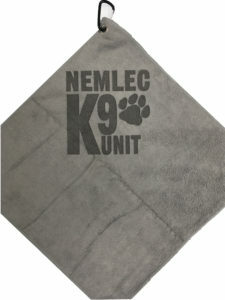 Laser etch silver golf towel with your custom logo along the seam is the best choice for wide & short logos. 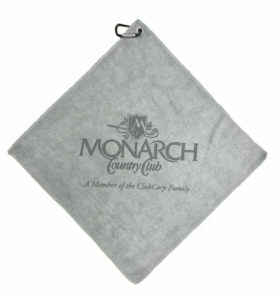 Laser etch silver golf towel with your over sized custom logo centered really pops your brand. 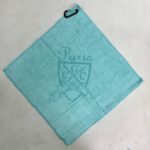 Laser etch silver golf towel with your custom logo scattered throughout towel is a classic choice. 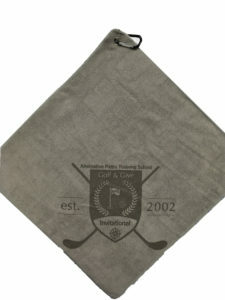 Laser etch silver golf towel with 3 or more custom logos on a Greens Towel is great looking and highly affordable. Ask for a Quote – Click on “Request Quote”, fill out form completely, and we will reply promptly. 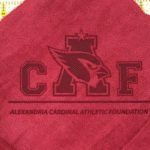 Ask for a Charitable Fundraiser Donation – Click on “Request Donation”, fill out form completely, and we will reply promptly.